UK suppliers will have stock to despatch on Tuesday 21st September. Online suppliers such as phones2udirect and findaphone will get theirs on Tuesday also. They are only trying to get ahead of the competition by claiming they have stock when they haven't. If you contact them, they will either tell you a) they just received a 'wrong' consignment and a replacement consignment is on it's way or b) that overnight delivery is not available! Either way, suppliers will have stock on Tuesday. Stock is limited however, which is why SE have not really started pushing yet. @ Vik - S700 can be bought for £150 + £33/month. Still not cheap but only about price of P900. @ _ICEBERG_ This phone WILL take duo pro upto 1GB regardless of what you may have read - or how authoritative the source may be. That was old information. Disbelieve if you wish, but this will be proven on Tuesday. someone told me that i better use MP4 filles for music. It use lesser space. Can anyone confirm this, dont now nothing about MP4. 10 songs would be +/- 15 Mb? I chkd the Phones2udirect website and im shocked to see the SE S700i on sale.Is that a joke cos even on the Carphone Warehouse website this fone is expected only in October and there is nothin abt this fone on the Phones4u website!Pls confirm! it doesn;t support memory stick duo PRO anyway... it only supports memory stick duo and only up to 128MB!!!! Do anyone know when it come out in Canada ? 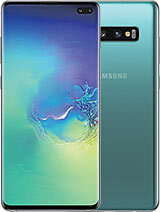 will se lauch this phone in singapore ?? when ? I asked for it in a mobile shop in Switzerland... the answer was: "End of September or first week of October". So we only have to wait another 2 or 3 weeks. September 30th in the UK on VF :D Not long now! guys is the s700 out yet??? you said that it would be out before p910i! well p910i is out and still no sign of s700!!! The price will be around 1000 bucks.